The 2019 REIA Awards for Excellence recipients. The Australian Capital Territory has cleaned up at the annual REIA Awards for Excellence held in Perth on Thursday night, with winners in four categories. Two of them came from Colliers International ACT, which took out Commercial Agency of the Year, and also had the Commercial Property Manager of the Year in Rupert Cullen. The other ACT winners included Independent Property Group Tuggeranong (Innovation award) and Peter Blackshaw Real Estate (Community Service Award). More than 250 real estate professionals from across Australia converged on Perth for the awards which recognise the best of the best in Australian real estate. REIA President Adrian Kelly said this year's nominees stretched beyond the major cities. “Winners were recognised from most of the states and territories highlighting it is not just the larger states and metropolitan cities taking home the awards but there where outstanding achievers from everywhere," he said. 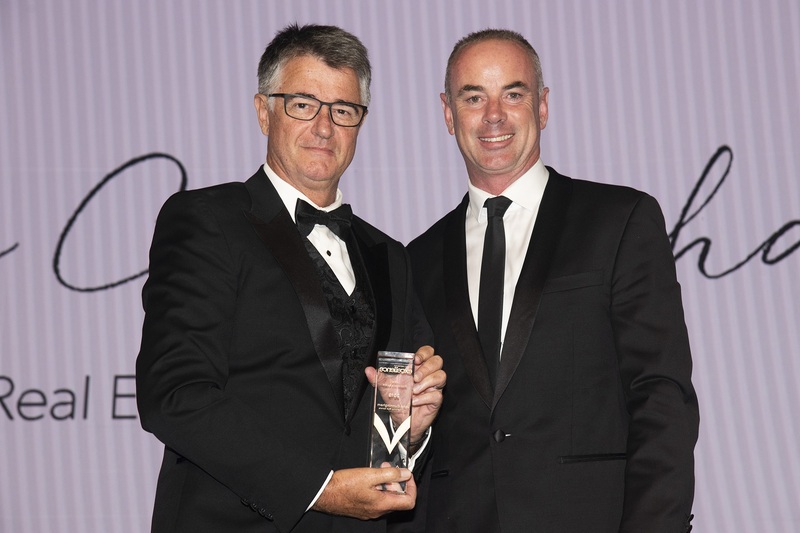 Mr Kelly was on hand to present the prestigious President’s Award for 2019 to John Cunningham of Cunninghams Real Estate in New South Wales, recognising significant contribution made by an individual to the real estate profession. A driving force behind the Pathway to Professionalism program, Mr Cunningham has been an advocate for better real estate education and training within the state. The former REINSW president described the award as a pinnacle in his 42-year career. "The award is a great honour, but this is just how I do business," he said. "I was just able to apply my own standards of doing business to the industry as a whole. "None of us are perfect, we are all just doing the best we can. "The Pathway to Professionalism program is just a way for people to do things a bit differently." Mr Kelly said Mr Cunningham had "done more for the industry in the last 12 months than most real estate agents would in their entire career". Other big winners on the night included Brett Dilston from Ray White Nunawading, who took out Commercial Salesperson of the Year. Mr Dilston said he was thrilled with the accolade.